This post originally appeared as an article in the May/June, 2016 issue of Association Leadership magazine. In the beginning there was Microsoft Office. Actually, that’s not quite right. In the REAL beginning, there was MS Word, MS Excel, and MS PowerPoint. Each had to be purchased separately and they weren’t cheap. So to save money, we only purchased what we absolutely needed. The result? Word sold like crazy, Excel sold pretty well, and PowerPoint limped along. Then, in 1990, the marketing geniuses at Microsoft came up with an idea that would fundamentally change how software was packaged and sold; Microsoft combined the three products into one. They charged more for the combo than either product cost by themselves, but less than all three combined. Thus, Microsoft Office was born. The market ate it up. And here we are, twenty-six years later. Without question, Office has become the gold standard in productivity software. It’s continued to evolve, adding components and features along the way. But arguably, the biggest leap in its evolution is Office 365; the adoption of a subscription pricing model and the move to The Cloud. In fact, one could make the argument that Office 365 is an even bigger change than simply combining three existing products into one box as with the original Office back in 1990. In other words, Office 365 is a big deal. The short answer? “It depends”. The major “it depends” surrounding Office 365 is philosophical, not technical. It depends on what we think about the whole software subscription model. How do we feel about paying a small amount each month forever, as opposed to a large amount once? Or at least until upgrades force us to “pay once” one more time in order to get the latest version of our software. Before we spend a lot of time arguing this back and forth, let’s consider this; in the long run, it really doesn’t matter how we feel about the subscription model. Subscriptions are the direction in which the market is heading, and sooner or later the subscription model will be universal. No matter how we feel about it. How do I know? Experience. My crystal ball isn’t much better than anyone else’s, but having been around the IT block a few thousand times, and having seen Microsoft (and other software vendors) in action for many years, I have a feeling that the latest version of the suite, Office 2016, will probably be the last where a boxed, retail version will be available for purchase. After that, it’ll be subscription-only. We’ll see in about three years if I’m right. Reduced acquisition cost. Boxed, retail versions of large software suites like Microsoft Office and Adobe Creative Suite are expensive. Purchasing multiple copies within an organization requires a non-trivial, lump-sum capital investment. For smaller organizations, this can be a barrier to adopting the latest versions of vital software tools. The subscription model reduces the initial acquisition cost, often significantly. Sometimes this factor alone is the reason for acquiring software via subscription; there’s no other financially viable choice. Keeping current. Keeping your main software tools current is important. With subscription-based software we don’t have to decide whether or not to incur the expense of periodic major upgrades to our software; upgrades are included in the subscription and are streamed to end-users as they are available. Software subscriptions keep us from technological backwaters caused by failing to upgrade software. Portability. Because software vendors understand the penetration of the Cloud into their markets (or they’re driving the market to the Cloud themselves), they realize their customers are more mobile than ever, and use a wide variety of Cloud-enabled devices. The result is most vendors allow installation of their products on multiple devices. Office 365, for example, can be installed on five platforms. My Microsoft Surface Book, desktop computer, notebook system, iPhone and Mac all have office installed on them. I can edit the same document on all devices depending on where I am and which device I’m using. That’s a huge advantage to me as it is for most Office 365 users. So, the subscription model isn’t total corporate rip-off by software vendors (despite how some of us might feel). There are real benefits to be realized by adopting it. Whether we see or value these benefits is really irrelevant. Because like it or not, the subscription model for software acquisition is here and it’s here to stay. The other side of the Office 365 coin is the move to cloud storage for all of our important information. Now before we go any further, I’ll confess, I’m a recovering cloud skeptic. Don’t judge me. For a long time, the Cloud Hype Machine has run at full steam. Having been around the previously mentioned IT block a few times, I’ll admit, I’m more than a bit jaded by all the hype. But in this case, my jadedness was warranted. Until relatively recently, I wouldn’t store YouTube cat videos in the Cloud much less my valuable information. The available solutions simply weren’t ready for prime time. Or my data. But, I’m open-minded, and I admit things have changed over the last couple of years. Cloud storage has come of age. For the most part, reality is finally catching up to the hype. For the most part. 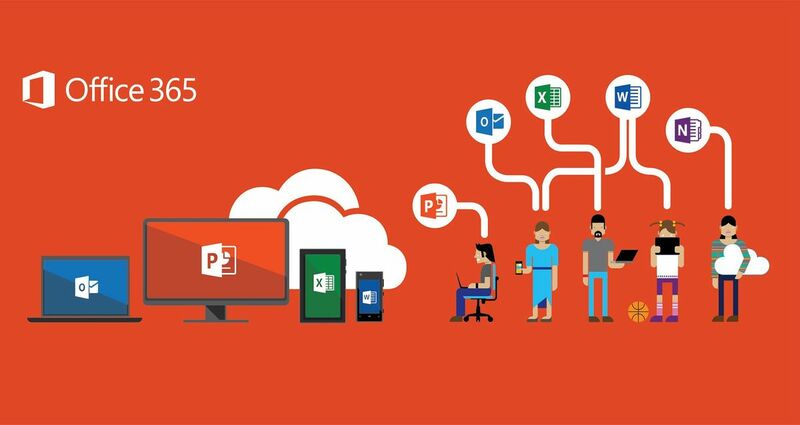 Which leads us to the cloud storage component of Office 365; OneDrive for Business. Previously known as SkyDrive. Previously known as OneDrive (sans “for Business”). Microsoft’s Cloud storage solution has so many aliases it should be in the witness protection program. My opinion of OneDrive? Let’s just say I’m not a fan. There are too many robust, mature Cloud data storage solutions available today to gamble with a seriously flawed product. Playing roulette in Vegas gives better odds than entrusting OneDrive with my critical information. I know because I’ve spun the wheel and lost way too many times with OneDrive for Business to keep on laying my money down hoping for a win. Here at The IT Guys, we’ve experienced our own gamut of problems with OneDrive for Business, ranging from disappearing data, synchronization between computers and the Cloud working sporadically (or not at all) and being able to see our files in OneDrive, but not access them. And these problems cropped up frequently. Realizing that we’re a collection of nerds and geeks and we couldn’t resolve these recurring issues, we wonder how would the typical end-user ever hope to? Bottom line; do I trust OneDrive for Business with my valuable data? No way. There are too many alternatives such as Dropbox and Box.com (my favorite) that are solid and dependable, to risk using a product that hasn’t proven to be reliable. OneDrive is “free” with the Office 365 suite, and on the surface, it’s hard to pay extra for another product to do the job of one you already have. But consider this; free isn’t so free if it ends up costing time and money trying to recover data that was supposed to be safe in the first place. Office 365 is a great product. The subscription model isn’t going to make everyone happy, but that’s where the industry is heading, so we shouldn’t hold that against an otherwise solid suite of proven applications. Likewise, the Cloud is the future. The benefits of storing our information in the Cloud are numerous providing we select the right cloud to begin with. There are a lot of wrong ways to make the move to the Cloud, and it’s best to have an experienced partner help with the process. Properly implemented, Office 365 and the Cloud are a powerful combination that can fundamentally transform how an association works now and into the future.